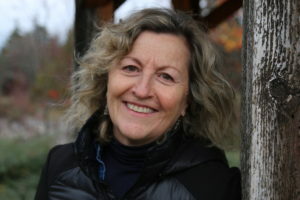 Becky Livingston of Nelson, author of The Suitcase and The Jar, and Roz Nay who wrote the mystery novel, Our Little Secret, will present their books on Sunday, April 14 at 1:00 pm. This promises to be a very interesting event. Becky relates an intensely moving story of a mother’s courage and resilence as she takes her 23 year old daughter’s ashes on a twenty-six month trip to many European countries and from coast to coast in North America. In doing so, she fulfilled her daughter’s only wish – to keep on exploring the world. Becky was able to find the strength to reconfigure her life through this transformative journey. Roz has also travelled the world, working and living in many areas. 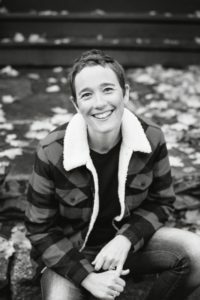 Our Little Secret is her first novel and it won the Hugo Prix for Best Foreign Thriller (France) and was nominated for the Arthur Ellis Award for First Crime Novel. Her book is a compulsive story about a missing woman, a tangled love triangle, and the secrets we keep and the secrets we share. Twisty and suspenseful, this mystery novel is an intense cat-and-mouse game and a riveting thriller. Our first author reading of the season will be on Sunday, March 3 at 1:00 pm. 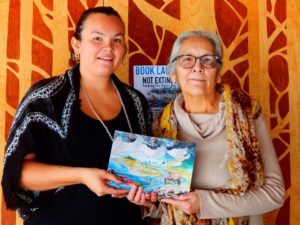 Marilyn James and Taress Alexis, Sinixt storytellers and knowledge keepers, will present their book, Not Extinct: Keeping the Sinixt Way. They will address the reality of their living culture in the face of bureaucratic genocide in their beautifully illustrated book.